Merry Christmas, everyone! I hope you all had a fabulous day spent with your loved ones. Check out these pictures of your favorite reality t.v. stars celebrating Christmas 2014 with their family and friends. 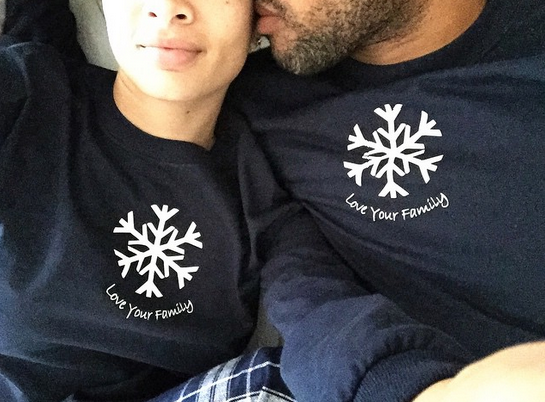 Basketball Wives L.A.'s Draya Michele snuggled up to her on-again off-again boyfriend, Orlando Scandrick. 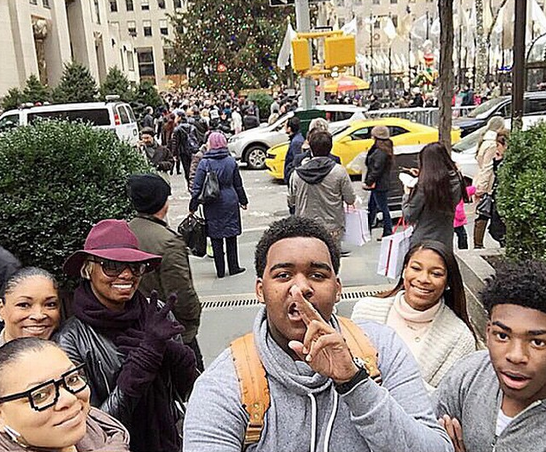 Real Housewives of Atlanta's Nene Leakes headeded out into New York City wih her son Brent and friends. 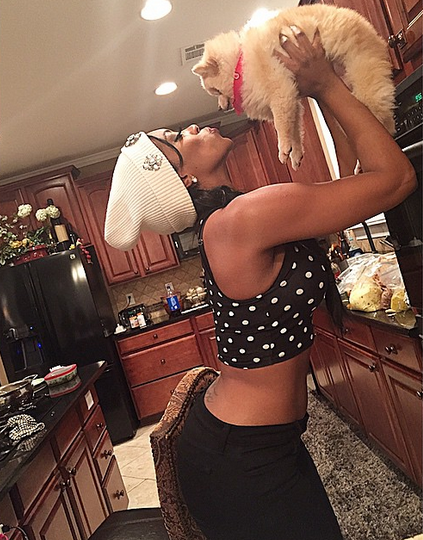 Real Housewives of Atlanta's Porsha Stewart set thirst traps all Christmas day, including this shot of herself in a midriff top and a frightened puppy. 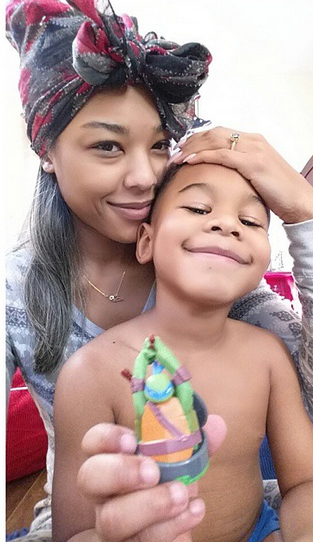 Love & Hip Hop New York's Tara Wallace stayed home with her two sons on Christmas Day. I wonder if Peter Gunz stopped by? Love & Hip Hop Atlanta's Stevie J and Joseline Hernandez spent their night in an Atlanta nightclub. Real Housewives of New Jersey's Dina Manzo spent time with her daughter, Lexi. 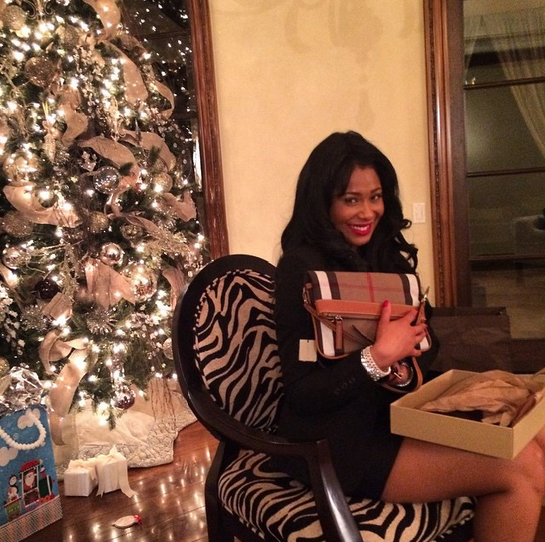 Love & Hip Hop Atlanta's Althea opens a gift from Tamar Braxton on Christmas night. Despite the constant rumors about him cheating, Love & Hip Hop Hollywood's Nikki Mudarris chose to spend the holidays with her boyfriend, Mally Mall. Bow Wow and Love & Hip Hop New York's Erica Mena shared a raunchy Instagram video on Jesus' birthday. 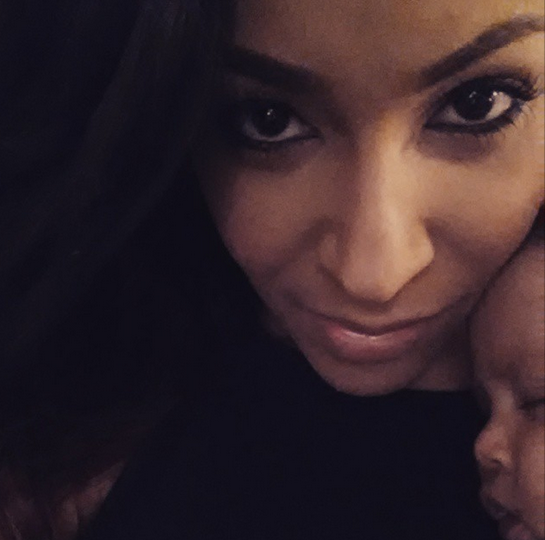 Love & Hop Hop New York's Amina Buddafly cuddled with her sweet little baby with no Peter Gunz in sight. 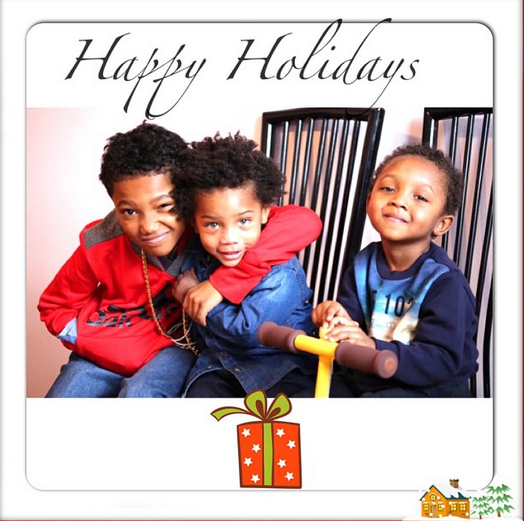 Love & Hip Hop New York's Yandy Smith shared a picture of her son, step-son and a family member on Christmas day. 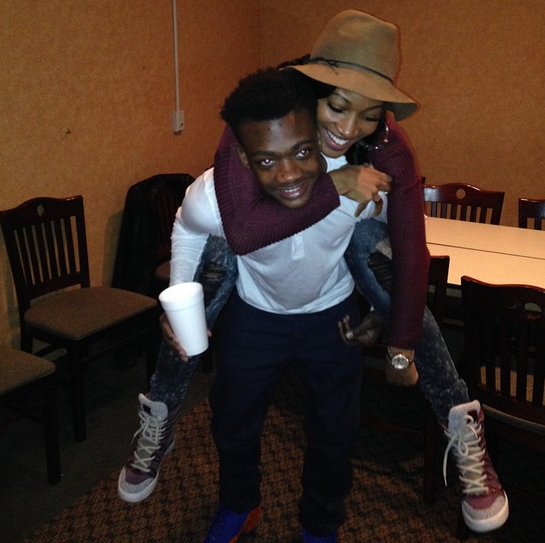 Love & Hip Hop Atlanta's Erica Dixon gets a piggy back ride from her cousin on Christmas day. 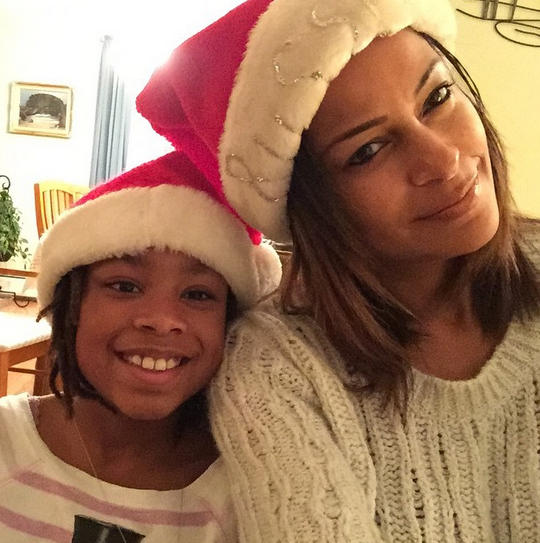 Real Housewives of Atlanta's Claudia Jordan wore matching Santa Claus hats with her niece. 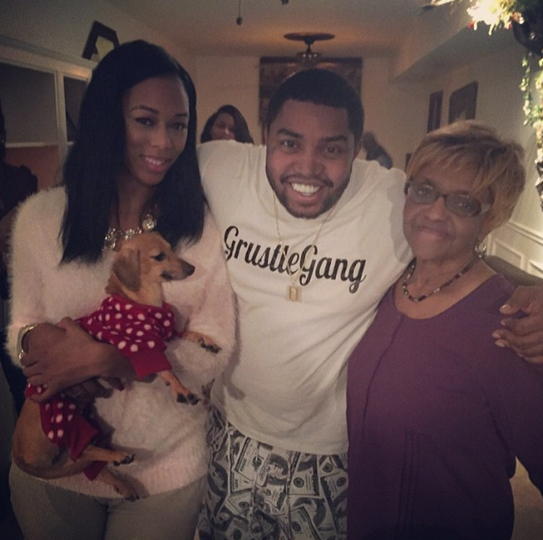 Well, lookie here, Love & Hip Hop New York's Diamond Strawberry made time to celebrate with her dog daughter on Christmas Day. 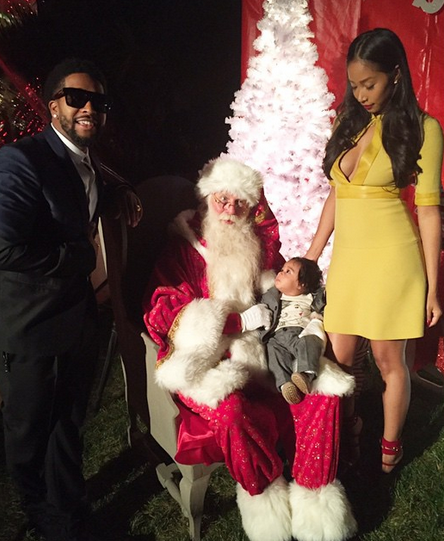 Love & Hip Hop Hollywood's Omarion and Apryl Jones posed with Santa at the Kardashian Christmas party. They even brought along their adorable baby, Megaa. Wait a minute, didn't Khloe used to date Omarion? Watch your man, Apryl! Look who's still hanging on for dear life...Love & Hip Hop Atlanta's Lil'Scrappy threw a party with family, friends, and his thotfriend, Bambi. 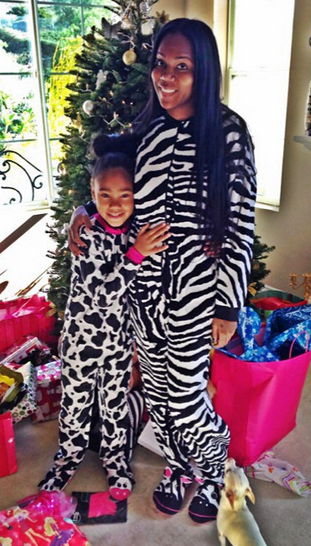 Hollywood Exes' Nicole Murphy shared the love with her two daughters on Christmas day. 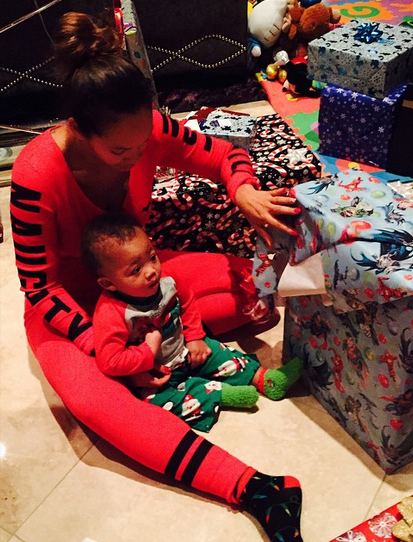 Basketball Wives Miami's Evelyn Lozada helped her son, Carl Leo, open presents on his very first Christmas. And now, for the most shocking story of Christmas 2014....y'all, Fabolous is finally claiming Emily Bustamante! Christmas miracles are real! But, not only is he claiming her as his lady, he also hooked her up with quite an expensive gift this year. 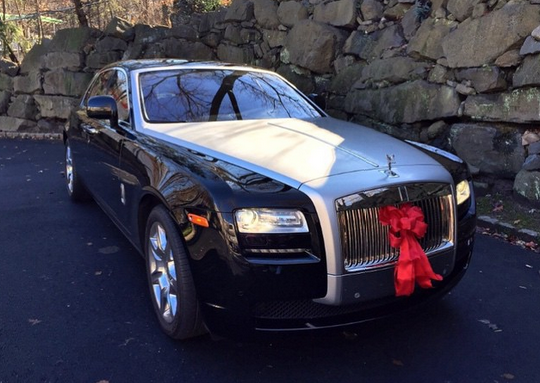 Fab came through with a $263,200 Rolls Royce Ghost for his baby mama. 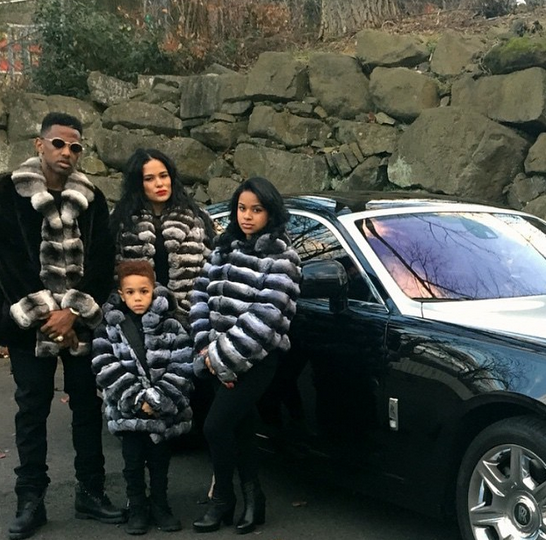 The family of four then took a picture decked out in chinchilla fur coats next to the expensive ride. How cute are their kids? What a beautiful family. Word on the curb is that Emily is currently pregnant with baby number three. Is a wedding also on the horizon for these love birds? Guess we'll have to wait and see! 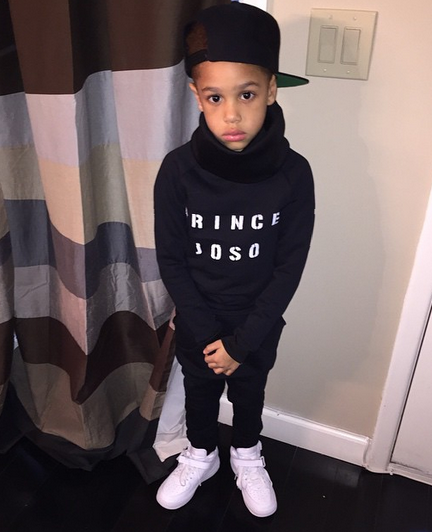 I leave you with one last picture of Fabolous and Emily's son Johan a.k.a. Prince Joso. I can't take the cuteness! He's like a mini Fab!